"L'amore è tenuto da uno vinculo di obbligo" ("Love is held together by a chain of obligation"). This paper will analyse Machiavelli’s conception of love taking cues from the preceding quotation from Chapter 17 of The Prince. Despite the emphasis placed by a majority of scholars on the centrality of fear, ferocity, and hate in Machiavelli's idea of princely conduct, recent studies have convincingly focused on the role of emotions in his writings. 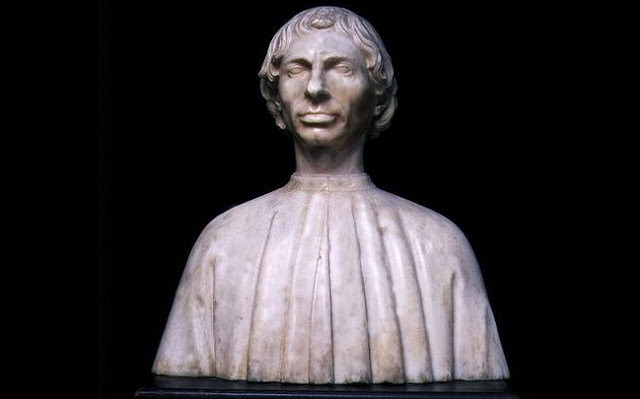 There is no denying the import of Machiavelli's well known claim that it is better to be feared than loved, however I shall focus my attention on the hypothesis that love is a central concern in Machiavelli's writings as both a powerful private governing force and an indispensable civic disposition. In doing so I will also reflect on the consequences deriving from the link between love ("amore") and chain, or bond, of obligation ("vinculo di obbligo"), in the belief that this reading will raise important questions relative to the place of common good and freedom in Machiavelli’s thought. Borghesi presents a #machiavelli sonnet on the unstoppable nature of desire, emotions a lesser known facet of M studies. Francesco Borghesi teaches in the Department of Italian Studies at the University of Sydney. He has been a DAAD Fellow at the Seminar für Geistesgeschichte und Philosophie der Renaissance at the Ludwig-Maximilians-Universität in Munich (Germany), a Frances A. Yates Fellow at the Warburg Institute in London (UK), a Research Fellow at the Italian Academy for Advanced Studies at Columbia University (USA), and a Lauro de Bosis Fellow at Harvard University (USA). He taught at McGill University in Montreal (Canada) and lectured as visiting professor at the Universidad Nacional Autónoma de México in Mexico City. He is a member of the Worldwide Advisory Board of the Virtual Humanities Lab (VHL) at Brown University (USA), and of the editorial board of Italian Culture, the journal of the American Association for Italian Studies. His research interests are Renaissance philosophy, the comparative study of religions, and textual criticism. He is the author of Concordia, pietas, docta religio (il Mulino, 2004) and of the forthcoming Giovanni Pico della Mirandola (Carocci, 2013), and the editor of Giovanni Pico della Mirandola, Oration on the Dignity of Man (Cambridge University Press, 2012).